The warthog is a wild member of the pig family that lives in Africa. Warthogs are identifiable by the two pairs of tusks protruding from their mouth, which are used as weapons against predators. They range in size from 0.9 to 1.5 metres (2.9-4.9 feet) in length and 50 to 150 kg (110-330 pounds) in weight. Good shot, but main these two. 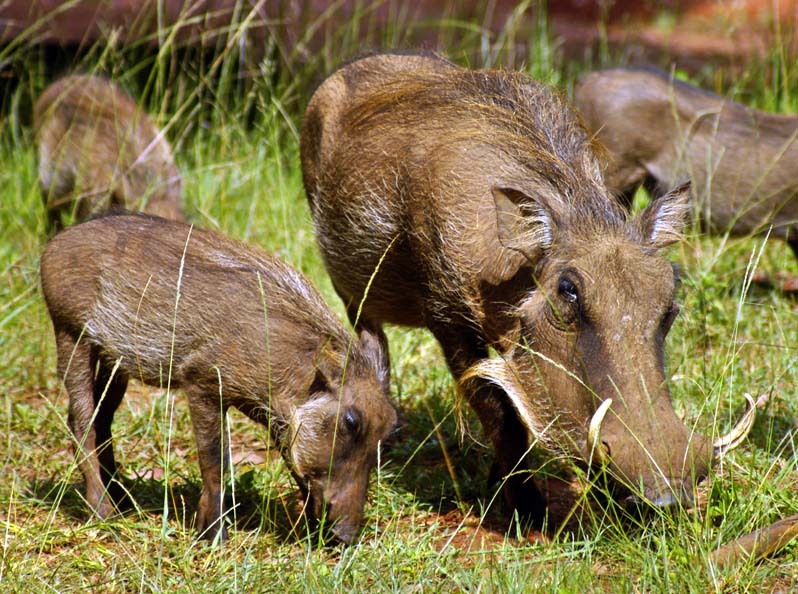 Good a quiet photo from life of wild pigs. It is pleasant.